Preserving and exhibiting the history of Kent Police from 1857 till date, the Kent Police Museum will give you an insight of the crimes that the police solved, official records, journals and books, documents, artefacts, photographs as well as badges, uniform, and other policing equipment. There are over ten thousand photographs, about three thousand police equipment, five thousand newspaper articles and other documents, fifteen hundred books, two motorbikes used by former police officers, and three thousand films. Here you can learn about the career of the officers and also interact with some of the present officers who are happy to tell you about the articles. 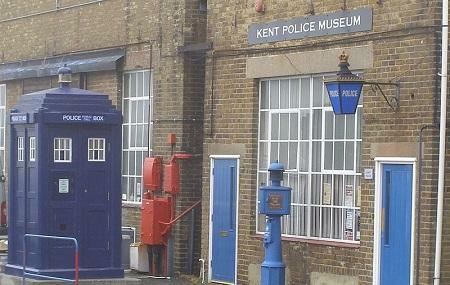 How popular is Kent Police Museum? People normally also visit Bluebell Hill Picnic Site while planning their trip to Kent Police Museum. Museum is closed to the public for redevelopment until July 2018. Our apologies for any inconvenience.